You have written a story, a poem, a non-fiction piece. It’s a fine piece of work for a blog, book or magazine article. It’s done. OR… is it? Have you stopped to read it over? Or to change the odd word here or there? Have you double-checked your spelling? What about that sentence there, is it reading the way you want it to? Have it all tidied up? EXCELLENT! But is it really the way you want it to read? Is it the best you can make it be? Am I clear about what I am writing about? Have I written with my audience in mind, answering their questions? Am I writing in a manner appropriate for the topic at hand? Did I make sure I included supporting examples and details?? Have I removed excess clichés? Can my images stand for themselves? Have I channeled emotions through the five senses? for instance…how can you show love or hatred through your senses? Have I used strong verbs and concrete nouns? Making your words seem more in the moment. Have I cut, compressed and condensed everything I can? The more tighter you make your words, the more pungent your words will be. What have you risked? What has inspired you from recent reads? Can you emulate what you like? Revision is merely the act of making what you have to say better. It’s not taking away your voice or the natural feel of what you write. All revision is, is answering questions to make what you say more clear to those reading your words. That’s worth the time don’t you think? The author then proceeded to quote a few passages from Tom Wolfe which showcased the beauty of a long sentence. I have to admit, if I had read it for myself I wouldn’t have thought it was all one sentence, but OH what a glorious sentence! Very much showcased the beauty of a well-written of a long sentence. What helps make a long sentence good? c. Chronological order, use it. d. use the long sentence in a mix with short and medium length sentences. 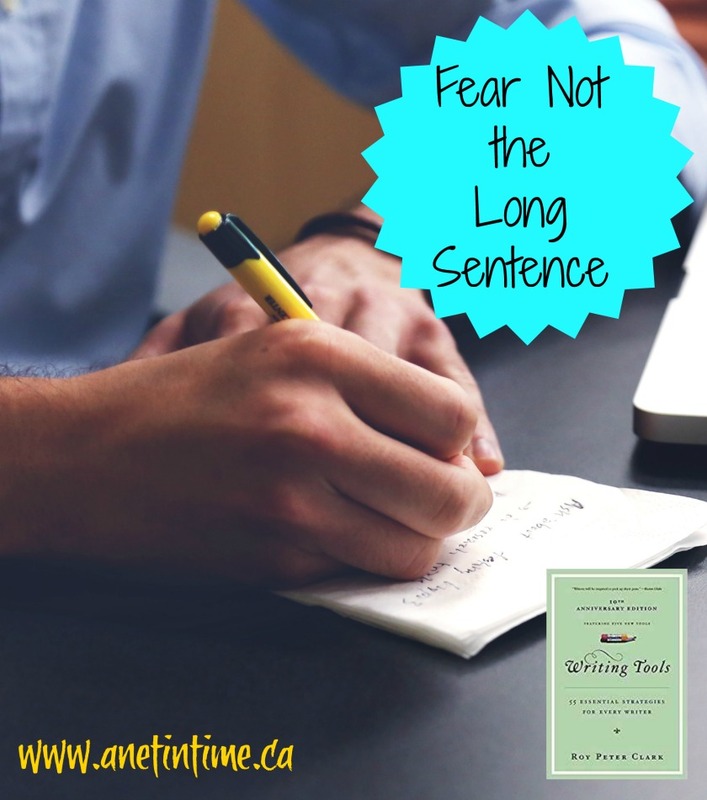 f. Edit carefully, long sentences need to make every word matter. Using long sentences go against the grain, the best writers aren’t afraid of them, so learn how to use them well. Sometimes you just have to take the chance, after all, writing is an act of faith, not just a matter of grammar. Break out of the trap of thinking that all sentences must have 18 words or less. Mix up your sentences, have some short, have others long. Consider that Elizabethan sentences often ran to 45 words, Victorian to 29, and today we average 20 or less. It’s not a bad thing to use a long sentence, word it well, use it well and become a better writer. You can become better at writer longer sentences by keeping an eye out for them, examine them, see if they meet the criteria listed above. You can also practice. Take some shorter sentences and see if you can put them together to make a well-crafted longer sentence. You don’t have to make a complex sentence, even a simple sentence can be long. Try describing your table top, contents of your garbage can, or a painting on the wall. Take whatever you have and practice. It’s the practice that will help you improve. One of the things I hear in the blogging and writing community is “I don’t have enough time”. Children, work and other obligations get in the way of being able to express oneself in the written form. Do you resent those interruptions or do you embrace the time constraints you are under? 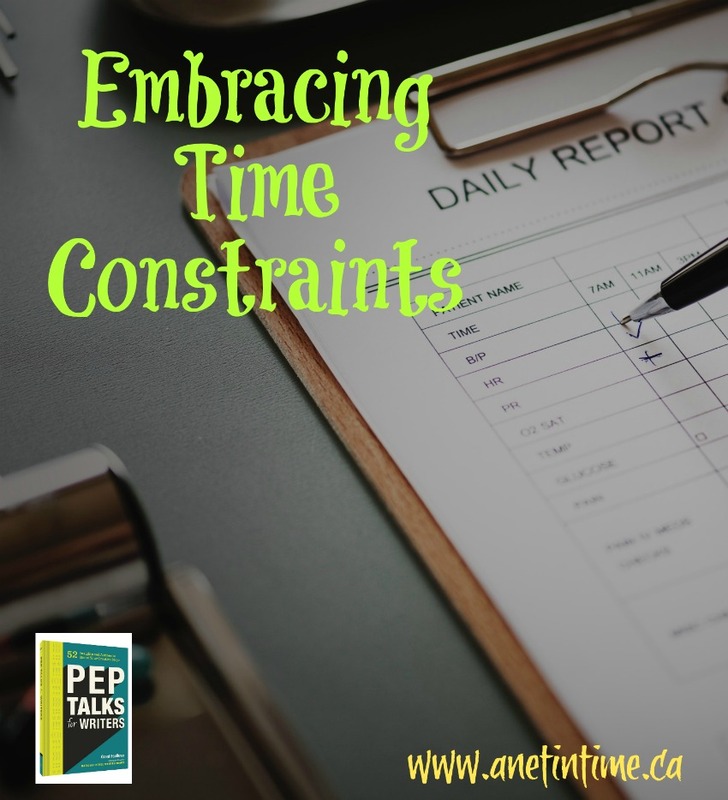 How does embracing time constraints help us? It’s the weekend and you have the kids in sports, yard work to complete, family to visit, events to attend… and as much as you want to write for hours and hours you struggle to find the 10 minutes here or there. You take the time at the sports game to write, you grab 20 minutes while the spouse showers, or whatever have you. Do you lament that you don’t have enough time or enough money? But seriously… if you offer me a whole weekend just to write you know what happens? I have tea with a friend, I run to the store to get whatever munchies I need (usually chocolate), and sit in front of my computer drawing a blank. IT’S ANNOYING! Like seriously. AND not only do I suffer that malady I’ve noticed other writer friends do exactly the same thing! Why is that? Why do we want the time, and then when we get it, the writing doesn’t pan out the way we think it should? Do you think just maybe that the fitting our writing in the events in our lives could actually be the best way to do it? That the very busyness we lament is the glue that focuses our creativity? That those short time frames actually give us a goal to push through? 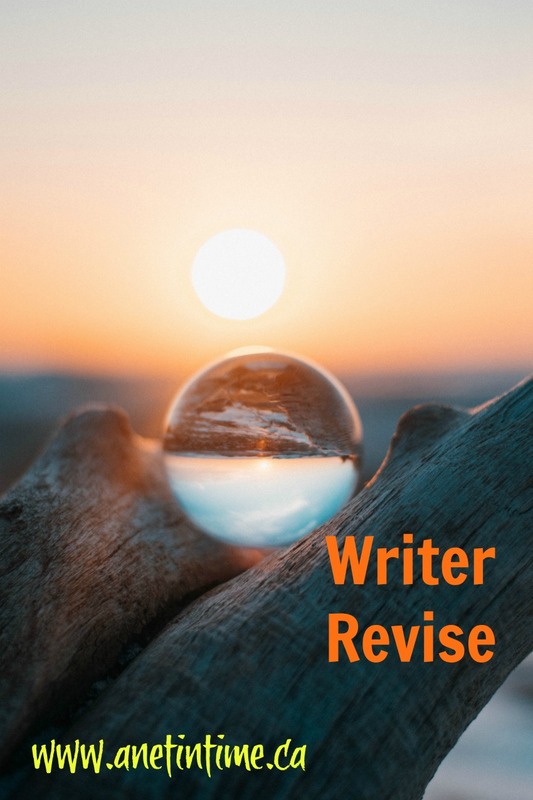 Take for instance a given week for me… I’ll have three blog posts to write just for me and two to write as reviews, and then I’ll have papers to mark as well. What happens? I know that my son has army cadets on Monday nights so guess what happens in that two hour time span he’s away.. I WRITE! Two hours, just for me. In that two hours, if I’m focused (ie no tv on, no munchies, sitting a the dining table) I can push out three or four reviews freeing up time to have a nap next week! (or more liking more writing just for fun). BUT if the lad’s at home you know what happens? We’ll play a game, watch TV and what not… and those two hours will be frittered away TOGETHER which is good, but then I have to try to write later as I wait for hubby to come home from work and I end up napping half the time. GAH! That free time with the lad away… it’s GOLDEN! But in the times that I am busy with my lad, or walking with hubby, or showing a student how to fry an egg, in the back of my mind I’m thinking… how an I talk about the word Crowd? Or how can I help my lad remember his cookie recipe? When I care for my bunnies I think about a conversation with Michelle about writing an animal husbandry column. And before I know, my whole post is written, it just needs to spill out from my brain to the laptop and it is SO much easier and quicker and half the editing is done already. I say cherish the busyness, see it for what it is. 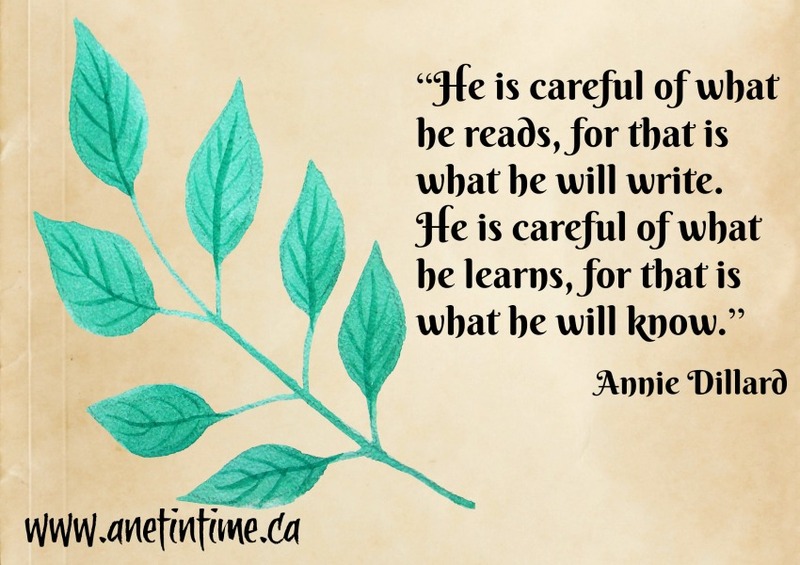 A time restriction that forces our brains to work around ourselves, enabling us to focus our thoughts, to refine the words bumping around inside, spilling out through the keyboard or out on paper. Cherish it. All those goal inspiring moments help us to write to our best. It’s a grand thing indeed. Just as we need to plan our writing space, and find routines that work for us we also need to embrace the lives we live. The distractions, the busyness, and the running around. It’s part of what makes us who we are. 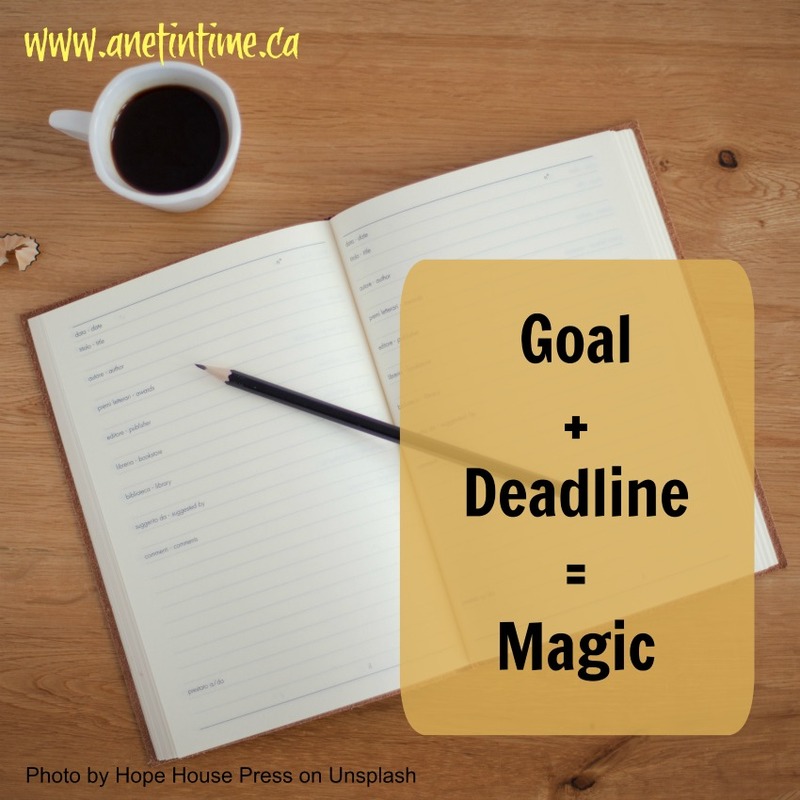 Embrace the time constraints of your life, it gives you needed goals that make you a more productive author. Did you know I have a neice that is a writer? I wish I could do the same thing with words that she does! 🙂 She maintains a blog over at Inkwyrm and I like going over there sporadically, commenting on everything. Nicole often makes me laugh or think, and sometimes even both! I am immensely proud of her. Anyways, we were talking one night about how sometimes she’s writing and she wants a character to go a certain way and it ends up being another way that suits that character better. It’s a struggle to balance the what you want with the what you discover. Anyways, that conversation was recalled to me as I read through this chapter on discovering who you are as you write, that what we write is based on aspects of ourselves. Writing draws words out of you. Think about it… in every character you write you need to research, watch, learn, discover new things. If you talk about a father figure you will naturally be caused to think about your own father, memories for good or ill. When we write about a best friend, we’ll be drawn back to friendships we’ve had in the past or still presently maintain. Sorrow, heartache, joy, anger … all these things will come from the weal of experience that is our own lives. From what we observe in the folks around us, to the research we do, everything we write comes from something we have interacted with and then somehow make our own as we write. And so as we write we learn more about ourselves and become more deeply in-tune with who we are. Reading and working through books such as Observe, Collect, Draw are tools we can use to deepen our understanding of ourselves. 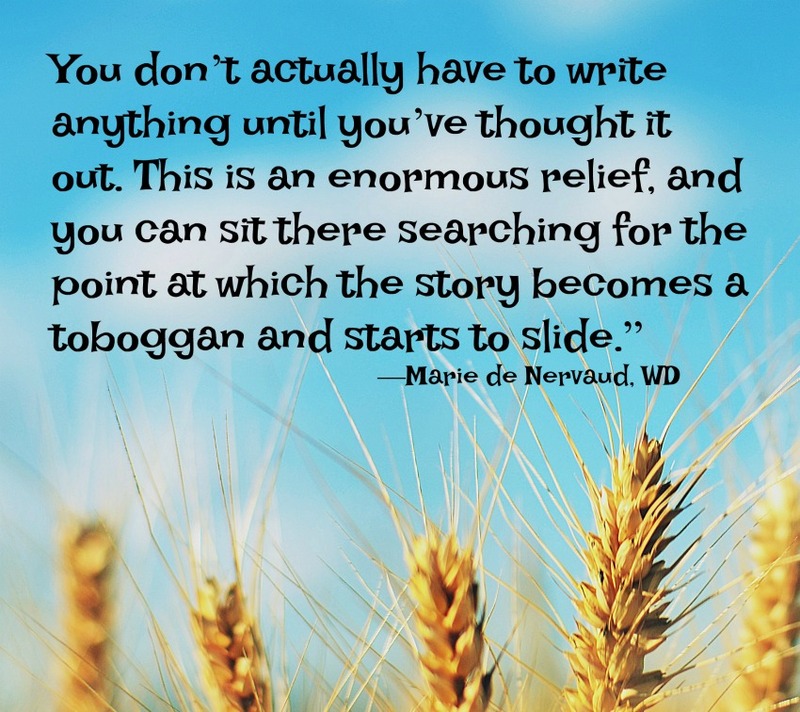 This process can fuel our thought as we write. Paying attention to our emotions and attitudes as we work, play, or rest. Watching out own interactions with people and the way others interact. Listening to challenging talks, confronting out fears and minding our hopes. All these things feed into our ability to write and share our thoughts with others. …muscles straining, brains thinking, pondering, connecting, being part of a team. Interruptions, people around us, meetings, and smells, sounds, actions taken. All these things become a part of us and therefore part of the world we write about. Observe it and remember it. … find whatever it is that you want to do just to have fun, be it playing playdoh with a little buddy, walking a trail, jumping off a cliff (or out of a plane) or rummaging through a thrift store for undiscovered treasures. 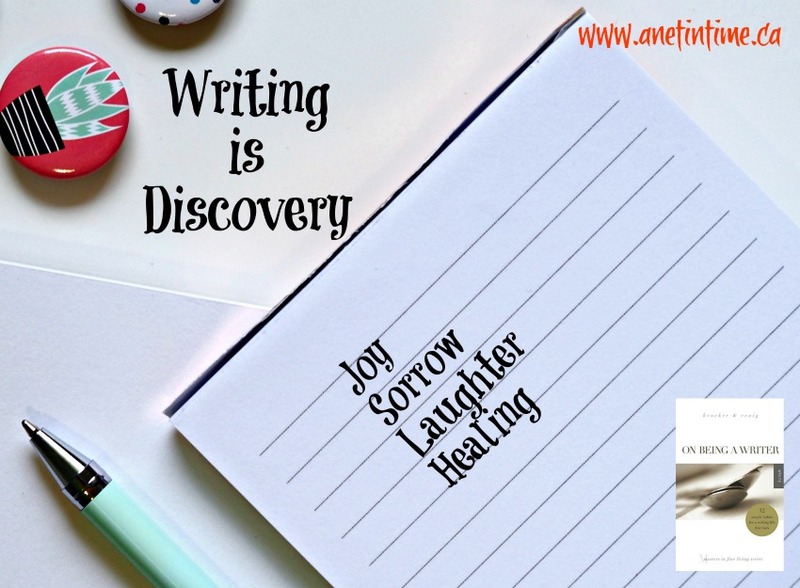 Listen to the joy of your heart as you play and put that in your writing. Dwell on the sorrow of death, or a hard diagnosis, or job loss. Whether for an audience of one (yourself) or a larger audience. Give voice to your words, your thoughts, yourself. Become more of yourself as you truly discover who you are. Write as if what you say matters. 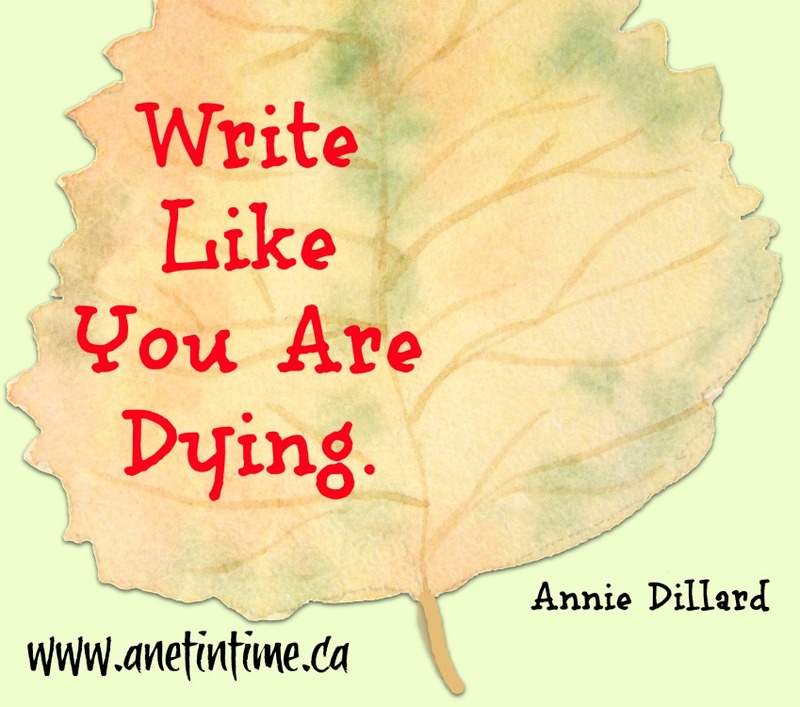 “Write as if you are dying” Annie Dillard would tell you. Give eloquence to your words, as if they are the last words you’ll ever write and keep writing until they are. If you would like to follow along I’m reading from this book. If you write, do you believe that you have a message? Do you think that YOU have something to say to those around you? If not, why do you write? Seriously, if you have nothing truly to say, then don’t write. On the otherhand, if you do have something to say, be clear about it and write. Once you have written it, don’t be shy about it, say, hey, I’m a writer and this is what I wrote. Otherwise, what’s the point? If no one knows you have written anything, then how will your words be heard? This is where promotion comes into play. Will you do what it takes to promote your work even if it takes you out of your comfort zone? Do you even know what it takes to promote your work? Today I am reaching out to give some ideas. Regardless of how you have published your work, or plan to publish, you need to do the leg-work in promoting your work. You need to do this before, during and after the process of publication. The thing is, start small, work your way up. Market yourself and what you have written. Help your words to have a broader audience. It’s not an easy thing you know to promote oneself, you need to be careful you don’t cross the line from promoter to seller. People will often get annoyed by people JUST trying to sell their book and therefore those that only flog their book will find themselves ignored or unfollowed (on social media). When you are on social media, do your best to be original. 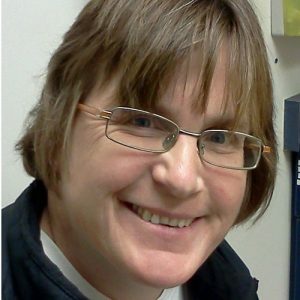 Have an author bio to help people connect with who you are. Don’t write what everyone else writes. Pull up something original about yourself like “Loves her cats and finds herself inspired by their quirkiness way too often” rather than “writes detective novels with cats as a focus” or “international best seller”. Be original, be you. If you maintain a blog where you promote your work, write about topics found in your book. Pull up interesting articles, write about anything that relates to what your book is about. This way you aren’t just talking about your book, but the things that would interest your readers and draw them in to learn about your book. Part of being active on social media can be to use videos, podcasts or live feeds. Again, talk about things of interest to your readers. 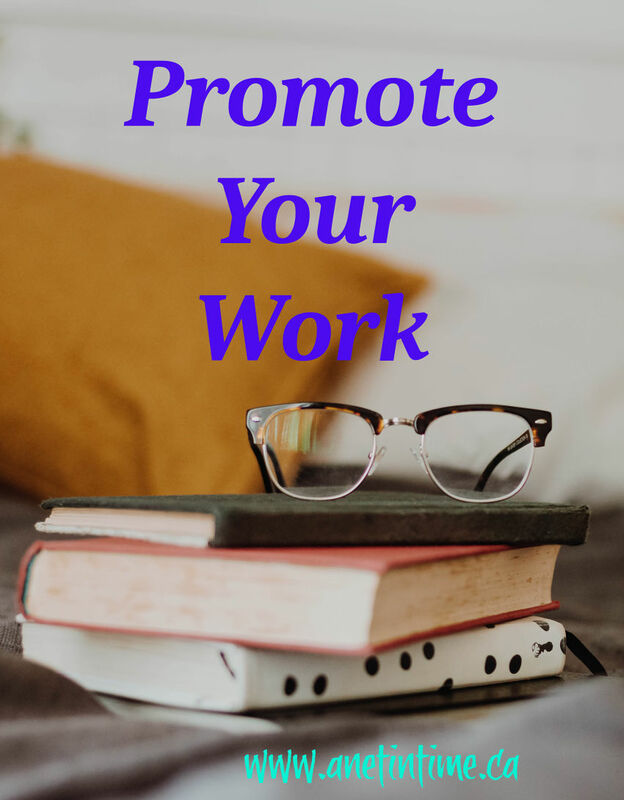 46 ways to promote your work. Promote before and after publication. 10 ways to promote yourself. You know how you can read poetry and feel like the author is right in the room with you, helping you to see exactly the point they are trying to make? 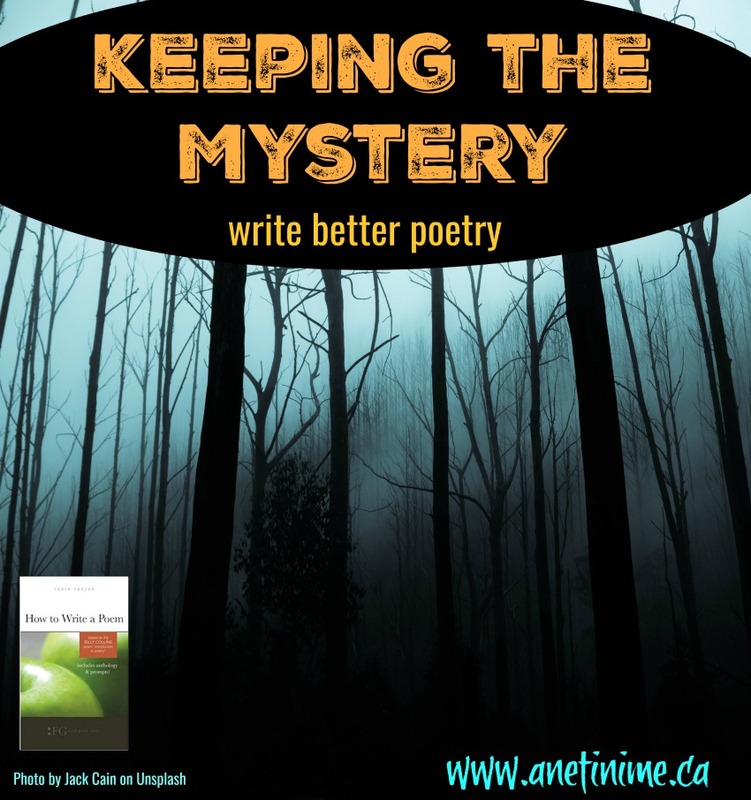 It’s not always a bad thing that, but something you might want to consider when you are writing poetry is to leave a bit of the mystery in there. Write for the concept not the lesson. It’s not an easy thing to do though. It’s so natural to want to say it all, you know? In fact I went to my poetry page searching for a poem so I could show you what the author of “How to Write a Poem” was talking about and found that I don’t leave a lot of mystery in my poems. It’s a good thing for me to think on. How can I convey a thought, but do it using images, allowing people to draw their own conclusions or to float of waves of memory and wonder? So here’s my first attempt eh? It’s hard, harder than I thought it would be. I will keep trying, because I want my poems to have a life, even if I am not there. Join me? I think I needed to read this chapter in Pep Talks for Writers tonight. The joy and beauty that setting goals can be. I know that I have this big project looming over my head, and I’ve been procrastinating working on it because it seems too big you know? But if you break a big project up into smaller parts, and make goals that are just the right size, WRITING THEM DOWN so that way they are real goals instead of in your head goals, you can and will make progress. Do you find that in your own life? That writing things down, especially when you have a big project, helps you to actually complete it? I shouldn’t be surprised at this reminder, I’ve been doing it mentally as I’ve been working with my lad at renovating the office into a guest room. First I have to get this out, and then get rid of that stuff, and move that around so that we can spackle, and then wash the floor and find our drop clothes so we can paint and… you know.. every little step and it makes the job not quite as big and so very very doable. It’s the same way with anything right? When you plan out your the school year for your child, or are working on writing a book, or a unit study or curriculum notes, or even working on one’s blog. Having plans and writing them out is a HUGE help. Writing daily plans.. now that doesn’t work well for me, but overall goals, like next week make sure I research the start of World War 1 and jot those notes down. Find the resources. Jot them down. So that over six weeks, we can look through those resources and learn and cement our knowledge, and then on to the next project, and gradually we’ll get through it all. And stop thinking things like “I have to read through these four books on World War 1”. I don’t have do that. And YOU, you don’t need to write 1000 words on your novel. You might need to write the beginning to a chapter, or write some notes about your main character, or proof read what you’ve already written. For you over there, you don’t need to plan out the entire school year for your daughter in two days. You don’t. You might need to take step one… sitting down and talking with your daughter and finding out what she wants to learn about and writing it down. And you, yeah you, the one who wants to create curriculum, you might just need to find what you are passionate about and write about it, and then find someone who can create some good graphics for you. Once you have your material written you can figure out worksheets or projects that go with it. Oh! 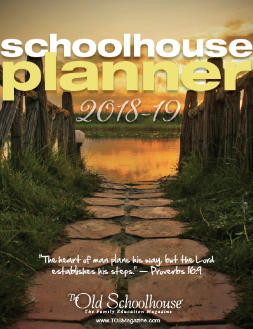 Did you know that Schoolhouse teachers has a planner? It just might be what you need to help you plan out your next project. They also have planners so you can teach your middle and high schoolers this valuable goal about breaking big projects into manageable bits. How great is that eh?